The ADCC Dance Dreams Award is an invitation-only opportunity for outstanding ADCC competition dancers ages 10-18 to take part in Dance Dreams Powered by Gerber Tours, a week-long immersive dance experience in New York City. The ADCC Dance Dreams Award is an exclusive partnership with Gerber Tours, a worldwide leader in educational and performance travel. The partnership supports The ADCC College Scholarship Program. With more than 45 years of experience, Gerber Tours provides student travel opportunities that exceed expectations and enhance students’ learning, helping them to connect theory, practice, and performance in real-world settings. 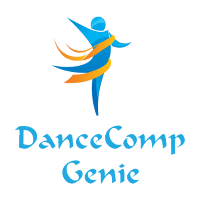 For a current list of participating ADCC Competitions and more about Dance Dreams Powered by Gerber Tours, visit www.mydancedreams.com, or call 800-317-3150.